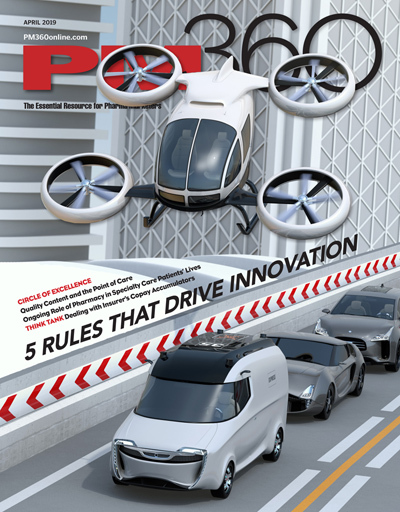 PM360’s Innovations Issue, established four years ago, serves as a comprehensive guide to our readers, providing a glimpse at the year’s most cutting-edge: Companies, Divisions, Startups, Products, Services and Strategies. Here are our picks for the most innovative services of 2015, which include compelling offerings that help the industry tackle new challenges. App Data Room is a versatile mobile solution for sales teams around the globe. Rather than just provide a pre-made sales app, the App Data Room platform allows businesses to build, brand and manage a mobile app to fit their sales needs. Companies can also integrate their own CRM and customer databases, as well as marketing automation processes, to provide their sales teams with a powerful, secure and functional app that aids every part of the sales process. The App Data Room platform is intuitive and highly customizable. Clients select nearly every aspect of their app, from the color and logo to the features, user groups, languages and content. The result is a unique, easy-to-use app tailored to the client’s preferences that is web accessible and also runs native on any of the three major mobile operating systems: iOS, Windows and Android. Apps work offline if the salesperson does not have access to WiFi or a data connection, and for regulatory purposes all necessary updates are handled easily on the back-end and automatically pushed and updated on the end user’s device. Any App Data Room app is ideal for delivering marketing material on a mobile device including giving a presentation, capturing leads, following up with clients or analyzing sales data on the go. It also shortens the distance between marketing departments in the office and sales teams in the field. The support team back home is able to manage content, monitor performance and communicate directly with salespersons anywhere in the world. In 2015, Havas Lynx launched Connected Health Services, a full-offering set built to serve clients in the growing connected health space. 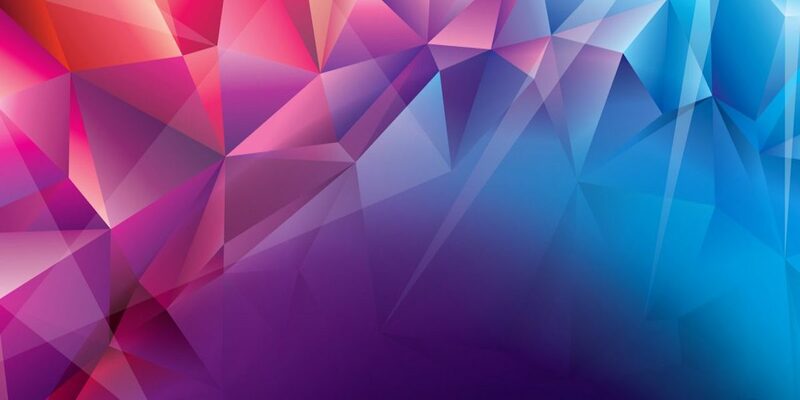 In this new era of connected health, marketers must fuse brands with advanced services, devices and digital technologies that engineer new ways to improve patient care and deliver better outcomes. Connected health understands that the effectiveness of a drug depends on many more factors than how well it works pharmaceutically. The combination of targeted drug therapies, sensors, cloud-based analytics and feedback loops generates important new data and makes for a smarter system and a more potent effect. This allows clinicians and marketers to segment patients on the basis of which treatments will work for them; generate treatment algorithms and clinical decision support; apply predictive algorithms to tracking and monitoring data; and anticipate events and respond to triggers in real time. Connected Health Services will help clients meet these needs with solutions spanning the health journey, such as aiming to provide personalized content and experiences to providers and patients, helping physicians identify and innovatively treat patients, and encouraging and promoting adherence to treatment regiments. And with billions of dollars flowing into the connected health space from all over (pharma, tech companies, venture capitals, etc. ), Havas will also help clients harness this incredible dynamic with a focused approach that includes advisory services to help clients understand and evaluate the growing landscape of technologies and players, workbench to prototype and test solutions, and a series of service lines in the areas of patient services, data and analytics, (and more to come) with a variety of partners. While dozens of social listening tools are available, none can mine digital and social “big data” inputs to be mapped through the patient-to-treatment journey. This gap was XL Alliance’s catalyst to redefine the way traditional research is done to deliver Social Cultural Intelligence. The company launched CulturIntel, a toolset and proprietary insights process that mines unbiased, unfiltered and real-time big data to identify meaningful interventions that improve access, treatment and outcomes for patients. Through its unique methodology that uses an arsenal of tools such as key word Boolean, topical text analytics and artificial intelligence, CulturIntel draws quantitative evaluation of qualitative organic data and isolates key influencing topics, as well as emotional and cultural nuances that impact diverse patients differently at each state of the patient’s journey. Harvard Medical School, Medtronic, Dana-Farber Cancer Institute, Johnson & Johnson, UnitedHealthcare, Pfizer, Merck and Novartis are some of the key businesses that have already used CulturIntel to help examine and identify behavioral, emotional, physical and spiritual drivers that influence their target through the consumer journey—unveiling new opportunities for growth. As with most other agencies, PALIO had been developing brands for print and then handing off the work to the user experience (UX) department for translation into digital. But earlier this year, PALIO recognized the changes happening in the way users interact with brands, and the agency saw a need for brands to be more responsive to a more complex environment of online and offline media. Their strategy: Build an entirely new core service, the Design Experience Lab (DXL), which brings together the talents of the brand design and UX teams to build responsiveness into brands from the point of inception. The goal: Build seamless brand experiences. The DXL formally launched in January 2015 and immediately focused on pushing brand design to be more responsive to the comprehensive user experience—both current and future—and maintain unity across all mediums. But first, the DXL had to educate clients on how design and UX lay the groundwork for how audiences not only recognize brands, but also how they interact with them in different spaces. Today’s brands have to be nimble to easily share content with their end users, regardless of the medium. As brands continue to move into new communication channels and platforms—YouTube, Spotify, game consoles—a brand design that adapts easily to this changing landscape helps maintain its authentic brand voice and “aesthetic DNA.” The agency does this by designing a modular brand design system, mapping out a comprehensive user interaction architecture, and by building a flexible interface design that translates globally. And most importantly, it ensures the experience is intuitive to the end user. Only 18% of pharma companies are satisfied with their digital activities, according to a recent industry survey from Across Health. And 77% of companies, according to an estimate from MIT, consider missing digital knowledge as the key hurdle to their digital transformation. To help address the “digital knowledge gap” in life sciences, The Stem is a new breed of management consultancy. Founded in 2013 by digital health and strategy veteran Gregg Fisher, The Stem incorporates principles of the “gig” economy, popularized by startups such as Uber, to build a global network of independent consultants serving health industry leaders, including Merck, Celgene and Shire. Unlike traditional consultancies, which rely on an internal talent base and supplement only where necessary, The Stem staffs more than 90% of its consulting assignments through an independent talent network comprised of more than 100 consultants. Additionally, the approach to each project is customized to the specific situation, so Stem consultants are staffed on-demand and matched to the needs of each client. All of Stem’s consultants have an average of 15 plus years of experience in the industry. The Stem offers consulting solutions in the areas of digital strategy, customer insights and analytics, digital process and organization, and digital execution support. The Stem consultants consist of multichannel strategists, researchers, analysts, innovation experts, process designers, business technologists, program managers, and many other roles. Some of the company’s recent successes include: Planning a three-year digital transformation for a top 50 pharmaceutical company, formulating a next-generation digital patient support experience for a leader in rare diseases and developing a digital product innovation strategy for an iconic consumer health brand. Research suggests the current perceptions of medical students, residents and many healthcare providers about the pharmaceutical industry are often influenced by the media, role models, peers and institutional policies. The medical expertise and processes that contribute to scientific-based drug development are often overshadowed, as impressions vary and may not accurately reflect the industry. Eli Lilly and Company believes that students in a health-related field may benefit from additional education on this topic to better inform them and ultimately, help improve patient care. Eli Lilly determined that an eLearning course would offer a viable solution—possibly making it the first pharmaceutical company to develop a comprehensive education solution to be offered as an elective course to academic institutions. Eli Lilly collaborated with 10 academic educators from multiple institutions (including Butler University, Duke University, Indiana University, Kansas State University, Marian University, Touro College of Osteopathic Medicine, Tulane University and University of Illinois), FDA experts, and the NIH to develop an eLearning course titled, “Making Medicines: The Process of Drug Development.” Making Medicines is designed to offer institutions an online course to examine the fundamental concepts and techniques of the drug development process including insights into clinical trials and the regulatory environment. The course launched in October and was unveiled at OMED 2015. Up to eight pilot institutions will begin to offer the course to students beginning in 2016. Early indicators suggest there is significant interest in the Making Medicines course. Since October 13, 2015, Eli Lilly has received more than 50 inquiries from individuals and organizations regarding the course. Success in today’s pharma marketing environment requires a people over product approach—in other words, “people-based marketing.” But achieving this often requires marketers to work within a complicated web of platforms, vendors, databases and agencies—all of which are in constant flux. Integrating all of these components is one of the largest challenges facing health marketers—and the inspiration behind MerkleONE, an all-in-one digital marketing solution suite for pharmaceutical marketers. MerkleONE is a programmatic media targeting platform, arranged in four layers that leverages first-party CRM data and custom audience creation, and targeting across premium publishers. The solution addresses the difficulties companies face in connecting their first-party data to the direct targeting and delivery of relevant content to the right customer at the right time. The platform does this by providing a specific set of tools and competencies to help marketers make the most of first-party and third-party data insights. In fact, it transforms data into visible, actionable insights that can then be used to activate targeted, data-driven campaigns that engage individual patients, physicians and HCPs—in real time. Effectively, MerkleONE enhances integration between data sets previously siloed, thereby providing pharmaceutical marketers with the ability to adopt an insight-driven approach to people-based marketing. The platform not only empowers a company’s ability to target specific individuals, but also decreases the fraud risks in media buying—all while improving marketing viewability. In today’s complex healthcare landscape, brand launch innovation requires an approach that is more personal, agile and driven by business intelligence and data. Thus, the old industrial launch model—one that relied on large sales forces and one-size-fits all messaging—cannot be sustained in today’s environment. Brands only have one opportunity to successfully launch, and moving forward, differentiation will be driven almost exclusively by the customer experience they create and how effectively they use data. To address these needs and help clients get a competitive edge, Cadient and Cognizant created a new commercial transformation launch service called OneLaunch. OneLaunch combines Cadient’s digital marketing methods and launch expertise with Cognizant’s deep analytics and infrastructure capabilities to create a unique and modern approach to commercialization. The service provides a more seamless launch experience for emerging biotech and specialty products both internally across global teams and externally across increasingly diverse customer sets. The OneLaunch offering was built to reflect the customer environment of today and tomorrow: Launch must create a more personalized experience for patients, providers and payers while maintaining the right balance between human and digital interactions. Increasingly, launch teams are focused on specialty patient populations, thus requiring high touch experiences, and a much deeper appreciation of an integrated care delivery system. The service is rooted in commercial planning and driven by a combination of analytics and enterprise information management. The result is a more agile approach to launch which in turn establishes a more connected customer engagement ecosystem. Launched in 2014, Crossix’s programmatic audience targeting solution enables pharma marketers to identify, reach and engage with relevant online audiences based on predictive health data. This new approach goes beyond the more traditional demo/geo and contextual-based targeting approaches by leveraging a wide breadth of audience data sets across demand-side platforms (DSPs), data management platforms (DMPs), online publishers, mobile ad partners and other key ad tech platforms across the programmatic media landscape. Crossix also overcame a significant hurdle—one that has held back some pharma marketers from using this approach. Since an individual’s personal health information can never be used for media targeting purposes per HIPAA, a prerequisite for the solution was that it must protect consumers’ personal data and preserve their privacy. Crossix solved this by developing data models that combine health data and consumer data (i.e., demo, geo and lifestyle variables) to determine the combination and weighing of consumer variables most closely correlated with the likelihood to perform a specific health behavior, such as treating within a condition category or with a specific drug brand (see image). The outputs of the modeling process are algorithms informed by these consumer variables that can then be applied to a given online audience to identify those with the highest treatment propensities. At no time is an individual’s actual health data used in the application of the models for media targeting purposes. Within its first year, more than a billion digital campaign impressions have been delivered using the 170 plus different Crossix audience models developed to date, across more than 100 unique brand campaigns executed by more than 30 pharma companies and 25 media agencies. SHYFT Analytics, a leader in cloud-based data and guided analytics solutions for global life sciences, launched its Real World Evidence (RWE) Analytics Solution in June 2015 to support the life science industry’s increasing need for real-world and evidence-based insights. Cloud-enabled and mobile-ready, this solution translates RWE data into patient-centric intelligence and analytics for use across the enterprise to improve the value of clinical research activities, shorten cycle times across brand lifecycle phases, as well as strengthen analytical competence for commercial teams to drive rapid change and market differentiation. SHYFT’s RWE insights analyze and swiftly inform on the treatment journey across the health and managed care settings, physician and patient dynamics, behavioral influence and utilization patterns. Managing and utilizing millions of patient-level data electronic medical records (EMR), claims, reimbursement, health economic outcomes research (HEOR), and sales data enables customers to gain insights about safety, efficacy and cost benefits of a pharmaceutical product throughout its lifecycle. Recently, a large global pharma company, recognized the importance of incorporating RWE data into its product lifecycle decision-making. However, capturing and aligning this data was no small task given its legacy systems and departmental data silos. The pharma company worked closely with SHYFT to aggregate the data, create meaningful insights and distribute them across the clinical-commercial continuum. The integration of RWE data and the resulting actionable analytics increased speed and access to patient-centric analytics and insights allowing the global pharma company to more effectively react to market dynamics. The company was able to maximize the return on their $20 million annual data investment and gained a competitive advantage as the first mover with RWE data.